hd00:18Terraced rice field in Bohol island. Philippines. Beautiful nature Filipino. Aerial views. 4k00:15Asian rice field terrace on mountain side, lush agriculture land. Rice is the staple food of Asia and part of Pacific. Over 90 percent of the world’s rice is produced and consumed in the Asia-Pacific. 4k00:35Aerial view of terrace rice field in Chiang Mai, Thailand. Taken in August 2016. 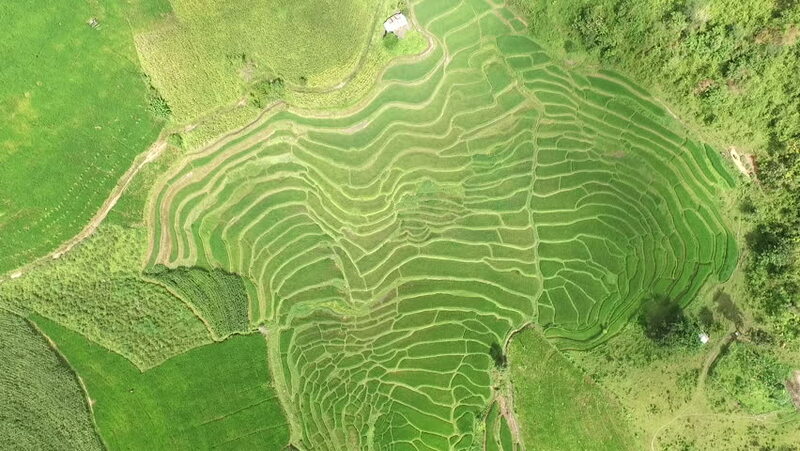 4k00:17Drone footage of rice paddies terraces on a hill, spider web rice field at the bottom and river running between around Lelak province, Flores.